Businesses and government agencies were advised to update anti-virus and Windows software. 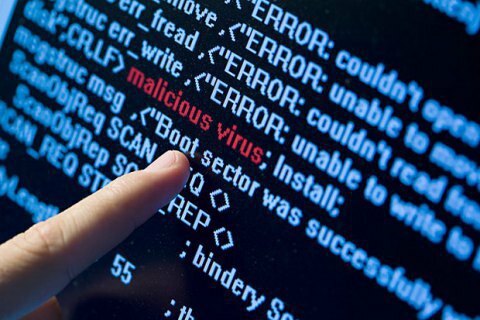 The Ukrainian Security Service, SBU, has warned that government agencies and private companies may face by a new cyberattack similar the virus Petya that many computers in June 2017. The SBU said on Thursday, 12 October in a statement on its website that the attackers' aim is to disrupt the regular functioning of information systems to destabilize the situation in the country. "SBU experts learned that an attack could be carried out with the use of software updates, including for free software. The mechanism of its implementation will be similar the the cyberattack carried out in June 2017," the SBU said. SBU advises Ukrainian businesses and government agencies and private users to regularly update their anti-virus software, backup the data and provide daily upgrade of Windows operation systems. On 27 June, on the eve of the Independence Day of Ukraine, the country subjected to a massive attack by a computer virus Petya. Among the victims of the attack were many companies, about 30 banks and government agencies. On 5 July, Interior Minister Arsen Avakov sated that law enforcers prevented another attack of the same virus. 14 October marks the state holiday of the Defender of Ukraine Day.